The Turbo-Grafx 16 Collection includes 426 Roms. The games can be played through the "MAGIC ENGINE" emulator on the PC. This console is most remembered for it's themed Character "Bonk" The large headed child caveman who was NEC's attempt to rival Mario. The TurboGrafx-16 (in full, the TurboGrafx-16 Entertainment SuperSystem), known in Japan as the PC Engine is a video game console developed by Hudson Soft and NEC, released in Japan on October 30, 1987, and in North America on August 29, 1989. 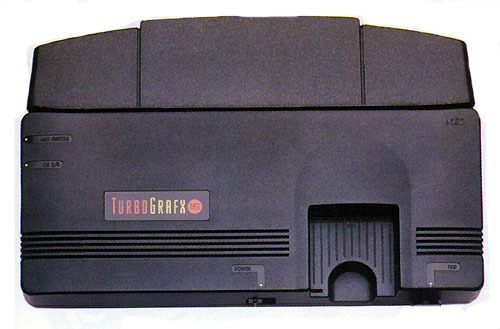 The TurboGrafx-16 has an 8-bit CPU and a dual 16-bit GPU; furthermore, it is capable of displaying 482 colors at once out of 512. Although there was no full-scale PAL release of the system, imported PC Engine consoles were largely available in France and Benelux through major retailers thanks to the unlicensed importer Sodipeng (Société de Distribution de la PC Engine, a subsidiary of Guillemot Corporation). As of July 15, 2009 four PC-Engine games have been released on the Japanese PlayStation Network for play on the PlayStation 3 and PSP. The four games are Bomberman '94, New Adventure Island, Sengoku Mahjong, and Devil's Crush. The price for all four has been set at 600 Yen.